Pacejet has completed the Built for NetSuite 2015.1 validation process for the Pacejet 15 platform version with our NetSuite bundle version 5.10.2. As a NetSuite SuiteCloud developer for the last 5+ years, Pacejet has been completing this type of release validation process in lock-step with the twice-per year NetSuite ERP releases. Today's blog post provides a few details on the validation and actions you might want to consider for a smooth upgrade to the NetSuite 2015.1 version. Read on for more details on the Pacejet Built for NetSuite 2015.1 validation. The Built for NetSuite program (full details here) is a NetSuite initiative to educate and assist SuiteCloud Developer Network (SDN) Partners like Pacejet to deliver quality SuiteApps. Built on a foundation of Education, Consultation and Confirmation, the BFN program helps ensure that the Pacejet Enterprise Shipping for NetSuite solution stays aligned, integrated, and performing well while both NetSuite and Pacejet continue to add new and innovative features. As part of continuous improvement to develop new features and deliver them into users hands, NetSuite operates on a twice-per year release schedule with calendar-year designations such as 2015.1 and 2015.2 for updates rolled out this year. Pacejet also uses calendar year designations for platform releases but is operating with quarterly or semi-annual updates, the latest Pacejet 15.1 platform version was released in January of this year (note: if you were upgraded to the Pacejet 14 platform last year, then your system was automatically upgraded to the Pacejet 15.1 platform this year.). 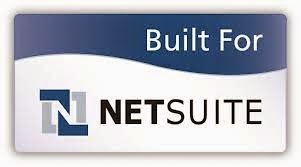 Pacejet for NetSuite also includes a NetSuite "bundle" which is a package of tools, actions, tabs, and fields which can be installed and upgraded in NetSuite. The latest NetSuite "bundle" version from Pacejet is 5.10.4 as of this post, bundle upgrades are generally released at least once but often multiple times per quarter. While NetSuite upgrades are compulsory and rolled out to different customers on different dates, Pacejet has supported customers on older versions for an extended period of time. Pacejet currently has two versions in supported operation with customers, the current Pacejet 15.1 platform version and the Pacejet 3.2 platform version (the Pacejet 3.2 platform version was released prior to moving to calendar-aligned release numbers and was last updated in 2013). We have been encouraging but not requiring the last remaining NetSuite users running on the Pacejet 3.2 platform version to upgrade to the Pacejet 15.1 platform version (we have not yet set a compulsory upgrade date). In a similar way, the latest NetSuite bundle version is 5.10.4 but we have not required customers to upgrade their bundle version. NetSuite users can test the Pacejet features they use with their pre-release access of NetSuite and contact Pacejet with questions or concerns. The latest Pacejet BFN validation was completed only on Pacejet 15.1 platform version with the 5.10.2 bundle for NetSuite. Pacejet users running on a bundle version older than the 5.x series should consider upgrading. We also continue to recommend that customers running on the Pacejet 3.2 platform version should upgrade to the Pacejet 15.1 platform version for the best user experience. Interested in learning more about the Pacejet 15 platform version, the latest NetSuite 2015.1 release, or the upgrade process ? Contact us today at 877-722-3538 or via pacejet.com.